I guess, somewhere along the way, I had registered an account with Ghostery when I was using their privacy plugin. 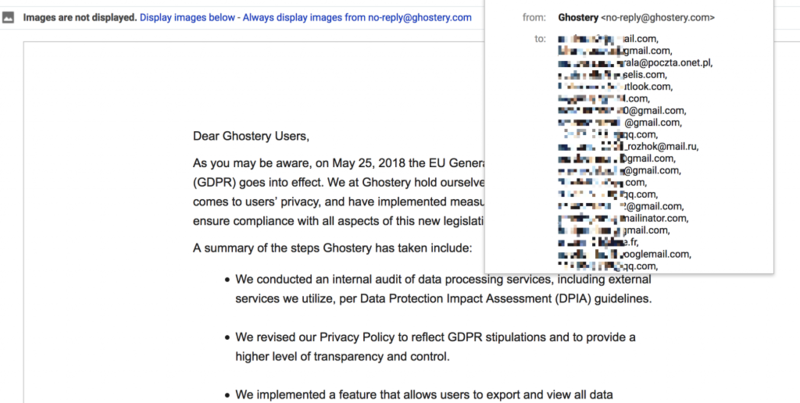 Today, I got a GDPR update notification from them, along with a ton of other users. The thing is, they failed to use the BCC field when they sent the email, so everyone’s names and email addresses were exposed to everyone else. I suppose they better practice their GDPR habits a bit harder.